Walkers; Alan Dow (leader), Linda Carter, Andrew Hackett, Bernard Jordan, Wally Krafft, Annie Moston, Les Roe, Odette Sheills, Sue Steward, Sue Twigg, Deborah White. Members of ORWTA & GBC, plus visitor Sue Steward. Whilst we were assembling at the Apollo Bay Information Centre, Sue Steward was preparing herself for a solo walk, when she guessed we were bushwalkers, and so she joined us! So with guest walker in tow, we set off to Tuxion Road, then up Old Tuxion Road as a steep short cut, before rejoining Tuxion Road and heading to the Crows Nest Lookout, where we enjoyed good views over the ocean and north to the main Otways ridge. We then walked westwards, briefly, then roughly south to the Highview Walk, which undulates along a ridge through farmland. 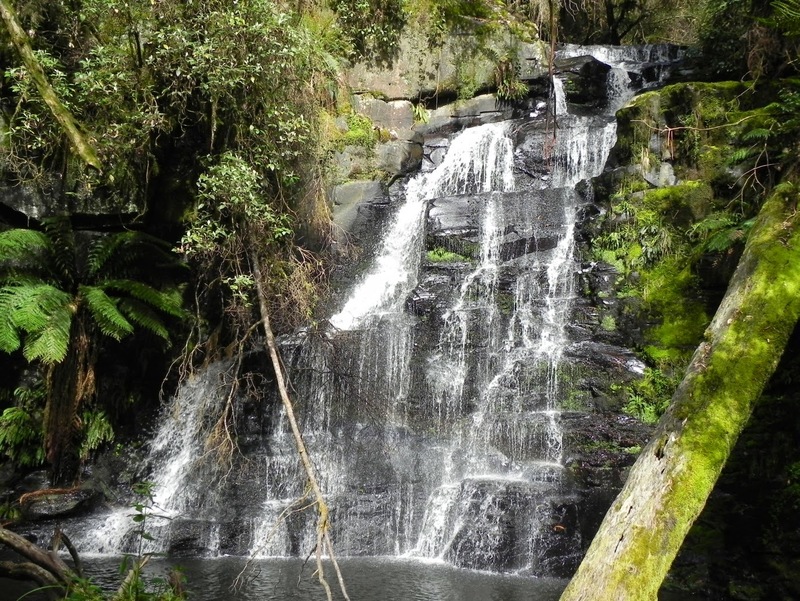 We enjoyed views north along Wild Dog ridge, then views over the valley leading to Marriners Falls, before the delight of spectacular views over Marengo and Apollo Bay. We passed curious cattle and some nervous sheep with their lambs on our descent to join the road back to Apollo Bay. Four and a half hours of enjoyable walking in good weather, in great company. Walk report provided by Bernard Jordan. 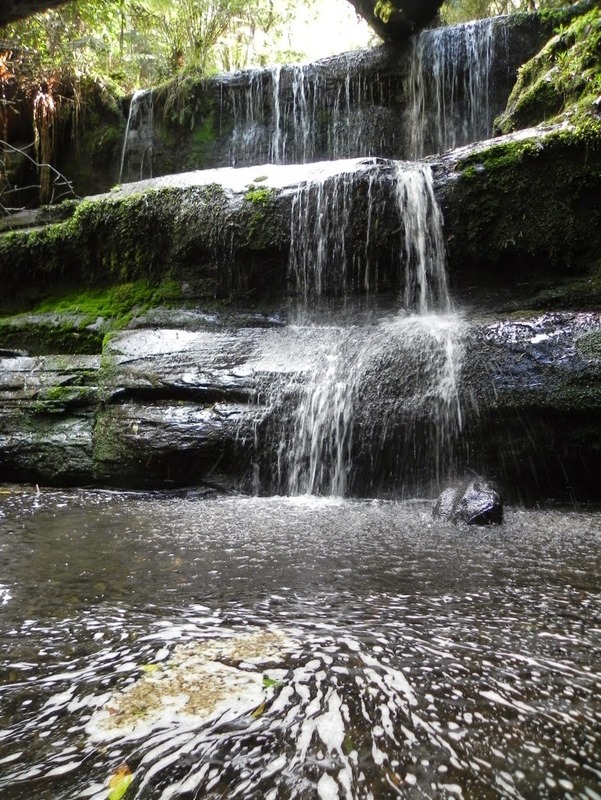 The next walk is to Allambee Beek on Sunday 5th October 2014. Leader; Kim Attard. Please phone Kim on 03 5263 2242 if you intend to participate. A meeting will be held after the walk at Martians in Deans Marsh at 5:30pm. Lake Elizabeth, Sunday 7th July, 2014. Walkers: Alan Dow (leader), Bernard Jordan, Les Roe, Jack Antonas, Andrew Hackett, Sue Twigg, Biba Horvatic, Johanne Walker, Bob Lambell, Ginny Logan, Odette Sheills, Kim Attard, Conrad and Debra White, Annie Mostun, Linda Carter, Elizabeth Anderson and Patricia Dressel. 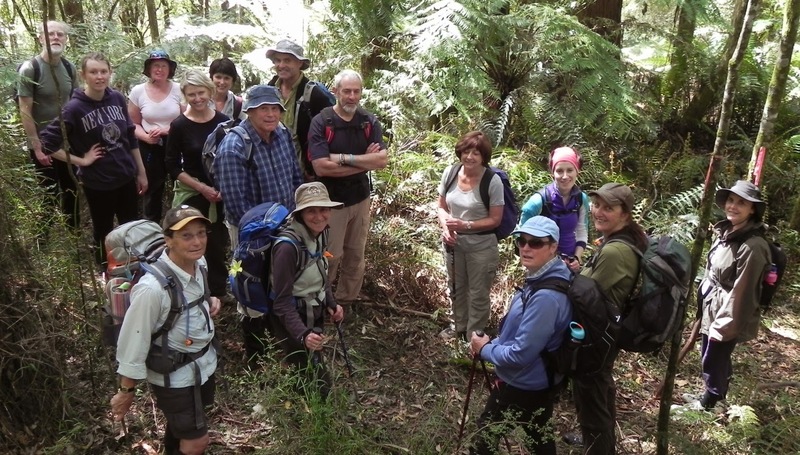 It was great to see a good roll up of familiar and new faces for our monthly combined walk with the Otway Ranges Walking Track Association. Having assembled at Forrest in gloomy rainy conditions, all 18 were worried that this was going to be a really wet day; none more than the trip leader who openly admits to not desiring ‘to do rain.’ However, off we went through the town and by the time we were walking along the West Barwon Dam wall the rain had all but gone. Incidentally, we briefly ‘lost’ the last 3 of our party! 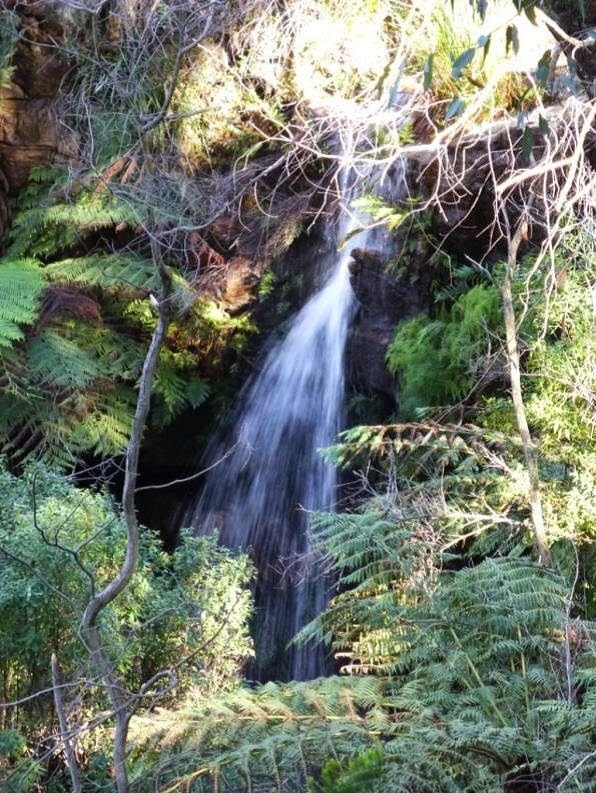 We then followed the main shared walking/mountain bike trail up and over into the East Barwon Valley to the car-park. It was a welcome relief when we finally made the picnic area for a late break/lunch. The next leg saw us reach the charming Lake Elizabeth, then set off for the circuit around it. I thought I would organize a boot washing service for all participants, whether you liked it or not; to negotiate the far end of the lake we passed along the boardwalk, just so happens it was covered with water. The walk on the other side was dominated by ferns, moss and fungi. Although on the Park sign it said it should take 3 to 5 hours, we arrived back at the picnic spot in 1.5 hours, where we had our proper lunch. Although no platypus were spotted, we did pass two slow moving Otway black snails. Then it was off again, returning to Forrest mostly on a different trail. So after six and a half hours we arrived back to our cars. A quick freshen-up and then it was straight across the road for the much-anticipated coffee-n-scones at the ‘Wonky Donkey’ Pub. 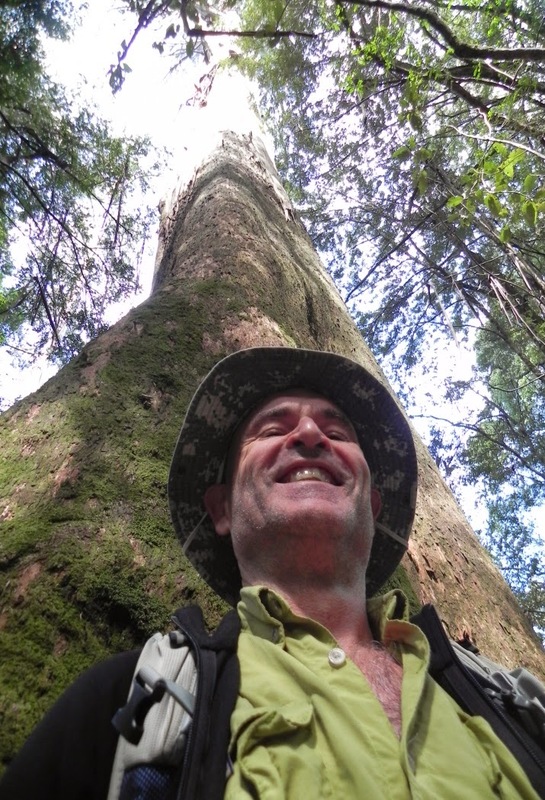 What a great way to spend a particularly nice day in the Otway bush, with a great group of like-minded people.